Academic librarians in the University of California (UC) system recently discovered something strange about their contracts: They didn’t have intellectual freedom protections, the very thing they advocate for their patrons. Librarians realized this when their union, the University Council of the American Federation of Teachers (UC-AFT) Unit 17, filed grievances against the UC administration regarding disciplinary actions for such things as managers reprimanding librarians over product assessments and conference presentation titles. Their grievances were rejected. The union’s contract expired September 30, and at press time negotiations were still under way to have academic freedom guaranteed in the next contract. The system turned down the union’s initial request, so UC-AFT has turned to grassroots efforts like media coverage and a petition, earning support from librarians across the country. “We win it through public opinion,” says Axel Borg, UC-AFT Unit 17’s lead negotiator and subject specialist librarian at UC–Davis. 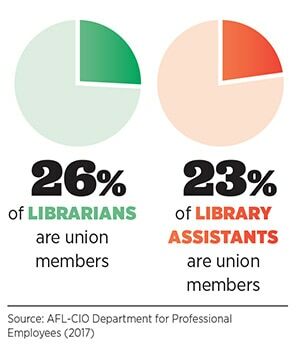 According to a report from the AFL-CIO’s Department for Professional Employees, in 2017 union librarians and library assistants earned on average 31% more per week than their nonunion equivalents. Union library workers are also more likely to have health coverage, retirement plans, and sick leave, the report states. Yet library unions are as diverse as libraries themselves. Public library workers may be organized in a library-specific union that represents librarians and other staff, or they may be a part of a larger municipal union that represents city or county workers. 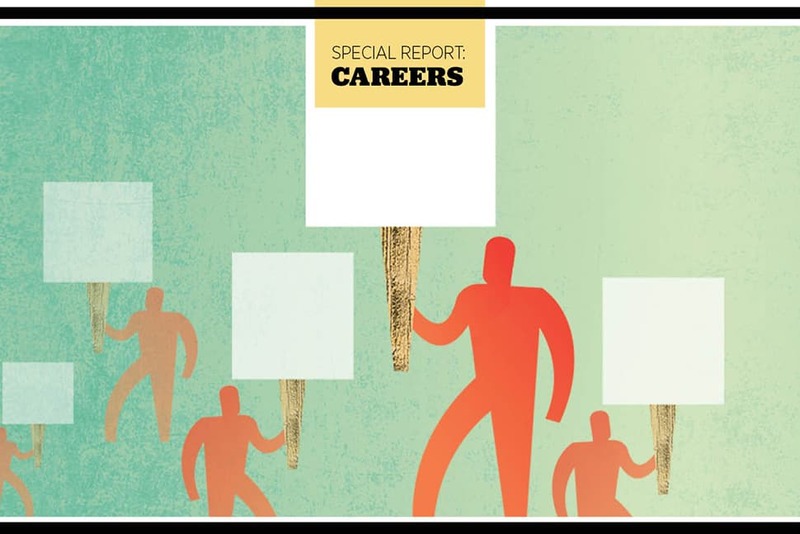 Academic librarians can find themselves part of a larger faculty union or librarians-only bargaining unit, while school librarians are often members of the local teachers union. Most unions don’t include members in supervisory positions. The landscape is complex, and it’s difficult to paint a picture of library unionism with one brush, but there are commonalities workers should know. What does union representation entail? “Many people come to the workplace and aren’t aware of what a union is—they’re just happy to get a job,” says John Hyslop, president of Queens (N.Y.) Library Guild Local 1321. 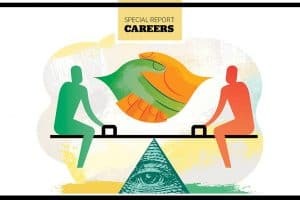 So what should employees know once they’re hired? If you’re covered by a collective bargaining agreement, the union is your representative in contract negotiations and employment disputes, whether you choose to be a full union member or not. A strong union will identify your shop steward—the person who can help you through disciplinary actions—and keep you updated on meetings and vote results. A common misconception is that union membership (or being subject to a collective bargaining agreement) might inhibit your ability to negotiate for better pay. 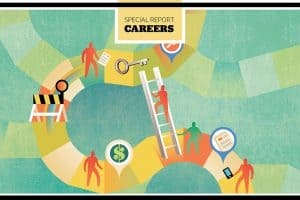 “There are many, many opportunities in a union context to negotiate individually,” says Aliqae Geraci, assistant director of research and learning services at Cornell University’s Industrial and Labor Relations Library in Ithaca, New York, and chair of the American Library ­Association–Allied Professional Association Standing Committee on the Salaries and Status of Library Workers. While pay structure is often governed by your contract, your rank can be negotiated. “That’s going to entirely change your compensation arc in an organization,” she says. Unions also focus on broader matters, like professional development funding, working conditions, and intellectual freedom protections, as with UC-AFT Unit 17. Do I need to join my union? Unions, which are democratic organizations with voting structures, reflect their membership. Some local unions can be weak or troubled, with low worker participation or a poor relationship with management. Labor laws require unions to recognize the rights of nonmembers, especially in the public sector. While “free riders” (people who receive the same benefits and protections as paying union members) are often derided, protections in most states guarantee that workers under collectively bargained contracts are represented fairly. The Janus v. American Federation of State, County, and Municipal Employees Supreme Court decision on June 27 took these protections one step further, ending public-sector unions’ rights to collect “fair share” fees from nonmembers as compensation for bargaining and representation. Some believe this funding cut could seriously weaken the ability of public sector unions to represent workers. But many union members are optimistic that the value of their work will speak for itself. Private-sector employee rights are governed by the National Labor Relations Board. The rights of public workers, unless they are employed by the federal government, are determined at the state level—and several states limit or even prohibit collective bargaining by public employees. Geraci recommends working with an umbrella organization like AFL-CIO, which is affiliated with a number of unions, to learn about regulations affecting your workplace. Borg was similarly inspired when he began working to revitalize his UC-AFT unit more than 10 years ago. The library’s budget had been stagnant for more than 20 years—a fact that shocked even the university’s provost—and the negotiator for the faculty union didn’t know what academic librarians did beyond their contract job descriptions.